Our staff is composed of dedicated healthcare professionals, chosen for their knowledge, willingness to help others, and ability to communicate with patients. She enjoys treating all aspects of general dermatology and has a special interest in skin cancer treatment and cosmetic dermatology (including Botox, Dysport, Restylane, and Juvederm, cosmetic peels, laser therapy and sclerotherapy). Having spent many months during her training at the Dermatology clinic at Nationwide Children's Hospital, Dr. Sarsama Nixon also enjoys treating pediatric skin conditions. Dr. Ramona M. Sarsama Nixon grew up in Cleveland Ohio and received her Bachelor's degree in biology from Wittenberg University. She also studied abroad at the University of New South Wales in Sydney Australia. She then went on to graduate f rom Ohio University-College of Osteopathic Medicine, where she was elected into the Sigma Sigma Phi national osteopathic medical honorary society. Dr. Ramona Sarsama Nixon completed her family practice internship at Doctors Hospital, Columbus, Ohio and her dermatology residency at O'Bieness Memorial Hospital in affiliation with Ohio UniversityCollege of Osteopathic Medicine. During her residency she was trained in general, surgical, pediatric and cosmetic dermatology. Prior to founding Ohio Premier Dermatology, she worked in downtown Columbus for two years. Dr. Sarsama Nixon is married to Dr. Christopher Nixon and has three boys, Gabriel, Noah, and Eliott. When not practicing medicine, she enjoys spending time with her family and friends, traveling and discovering new places and cultures. Eydie is a nationally certified Physician Assistant. She is an active member of the Ohio Society of Dermatology Physician Assistants. Eydie grew up in northeast Ohio. She received an academic scholarship to attend the Ohio State University where she received her Bachelors of Science degree. To further her career as a medical practitioner, Eydie completed her Masters degree in Physician Assistant Studies at Marietta College. She obtained clinical training in broad areas of medicine throughout Columbus and the surrounding communities. She has been practicing in dermatology for over 10 years. In her free time, she enjoys spending time with her two sons, watching college football with her husband, practicing yoga, running and taking her dog Jax to the dog park. She also loves quality time with her family and friends. Jill is from the Delaware area and a graduate of the Tri-Rivers school of Practical Nursing. When she is not at Ohio Premier Dermatology, she and her husband Dave can be found at their farm raising a variety of animals including horses, cows, pigs and goats. Taylor is from Mount Vernon and a recent graduate of Knox Technical Center. 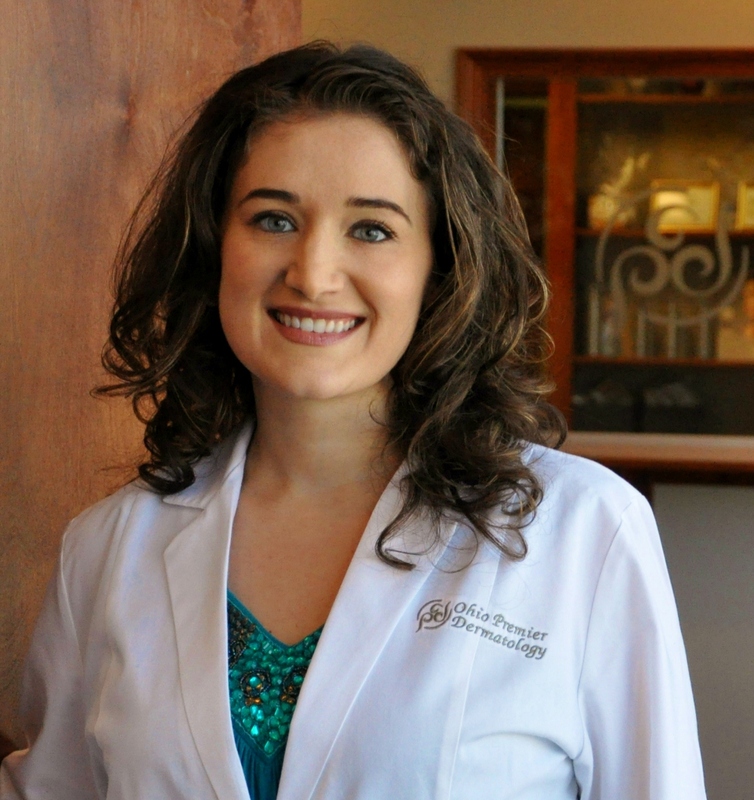 When she is not at Ohio Premier Dermatology, she enjoys to read and play softball. Heidi is from Centerburg and previously worked as a dental hygienist. When not at Ohio Premier Dermatology, she enjoys to garden, farm, and travel. Heidi can ensure that all of your questions get answered and make sure you have all the information to keep your visit smooth and satisfactory.